The BlackBerry Torch 9800, shown off in the USA yesterday, will be here soon according to the local branch of Research in Motion, makers of the BlackBerry smartphones. And soon – the coming months to be quote the press release – is about as much information as there is regarding the price or release date of the BlackBerry Torch 9800. Oh, and that it will be sold at all the big telcos – Optus, Telstra, Vodafone and 3. The phone is something of a departure for BlackBerry. 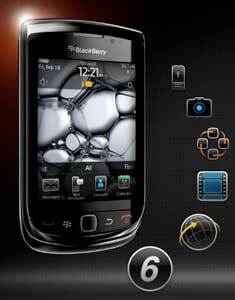 The BlackBerry Torch 9800 is both a touchscreen phone, with an onscreen keyboard, and it has a QWERTY keyboard, accessed via sliding it out from under the screen. And this is the first BlackBerry to have onboard the new BlackBerry 6 operating system. In lieu of much in the way of local information, here’s a video of the BlackBerry Torch 9800, shot by CrackBerry.com at the phone’s New York press event. Keep up with TechStyle’s articles, news, reviews and more, by having it delivered direct to your email inbox. It’s quick and easy to subscribe, and you control your subscription.